Heat treatment is the controlled heating and cooling of metals to alter their physical and mechanical properties without changing the product shape. Heat treatment is sometimes done inadvertently due to manufacturing processes that either heat or cool the metal such as welding or forming. Heat Treatment is often associated with increasing the strength of material, but it can also be used to alter certain manufacturability objectives such as improve machining, improve formability and restore ductility after a cold working operation. Thus it is a very enabling manufacturing process that can not only help other manufacturing processes but can also improve product performance by increasing strength or other desirable characteristics. Steels are particularly suitable for heat treatment since they respond well to heat treatment and the commercial use of steels exceeds that of any other material. 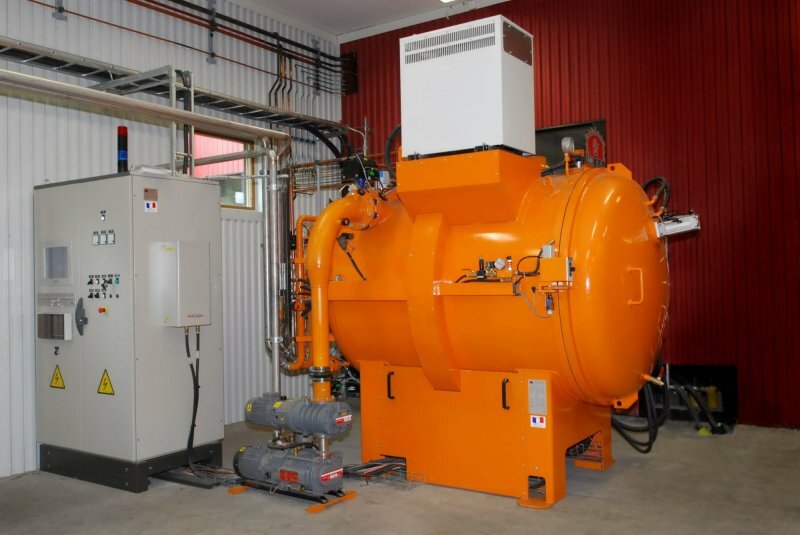 The Heat Treatment Section is a fully equipped unit that features that latest in furnaces and ovens (Vacuum Furnace), with a capacity of handling jobs up to 3 meter length. Annealing, Normalizing, Hardening, Quenching (Oil & Water), Tempering, Stress Relieving, Induction hardening and Flame Hardening.